Unfortunately, while the 1-Series is smaller and less expensive than the popular 3-Series, it could also be argued that it's neither small nor cheap enough to justify itself. Has the 3-Series become too portly, expensive, and upscale? 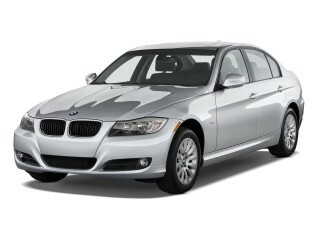 If you think so, the 2010 BMW 1-Series might make you happier. However, keep in mind that not everyone's a fan of the appearance, and iDrive is still lacking. The editorial team of TheCarConnection.com has driven the BMW 1-Series models and report here on their experience with the coupe and convertible, offering expert advice on high and low points. TheCarConnection.com has looked through some of the best reviews on the Web and selected the most insightful pieces in an adjacent Full Review. The 2010 BMW 1-Series in some ways represents BMW at its very best: offering simple driving enjoyment in a compact car that looks back to the much-loved BMW 2002 from the 1970s. Over the years, BMW's bread-and-butter 3-Series line has increased in size and weight to the point that BMW filled the gap at the bottom of the range with the 1-Series coupe and convertible. The 1-Series shares the long hood and short deck of the 3-Series, but it's smaller. Its 104.7-inch wheelbase is 4 inches shorter than the 3-Series Coupe, but its truncated shape is shy of its bigger sibling by half a foot. Overall width is almost 3 inches narrower. The overall effect is that the 1-Series is a bit abbreviated, and some might not think that its proportions are quite as &quot;right&quot; as those of the 3-Series. 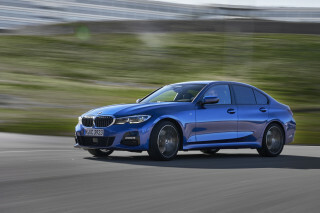 Two models are offered for each body style&#226;&#8364;&#8221;the 128i and the 135i&#226;&#8364;&#8221;and both are available with either a six-speed manual or an automatic gearbox. The main difference between the two models is the engine; the 128i uses a non-turbo 230-horsepower version of the 3.0-liter inline six-cylinder, while the 135i provides a more ample 300 hp from its twin-turbo version of the 3.0-liter six. The 2010 BMW 1-Series handles well and steers beautifully, and it feels positively like a sports car. Inside, the front dimensions are satisfactorily generous. Whether as a coupe or convertible, the 1-Series is more of a 2+2 than a vehicle with a full backseat. But in a nod to practicality, the rear seat of the 2010 1-Series includes both a pass-through and 60/40 split-folding access to the trunk. The compact folding mechanism of the convertible's soft top even ensures that there is usable trunk space with the top down. Interior accommodations in the 2010 BMW 1-Series are what you've come to expect from BMW of late: less austere and more attractive while remaining easy to use, aside from its iDrive system. The latest software is better than it has been, but it's stifiling at a driver's first encounter. It can be counterintuitive even with considerable exerpience. On the opside, it now can communicate directly with USB devices. Otherwise, controls make sense and are logically positioned. Safety-wise, both the IIHS and NHTSA have yet to crash-test the 2010 BMW 1-Series. However, across the pond the European New Car Assessment Program gives the 1-Series a five-star vehicle safety rating in crash tests. BMW also includes a host of standard safety features, such as airbags, ABS, traction control, and an electronic stability control system. The 2010 BMW 1-Series models come about as well-equipped as you might expect for a base-model BMW; keyless entry, power accessories, and steering-wheel controls are all included, and a navigation system is optional. For 2010, the 128i Coupe model loses its standard sunroof, but BMW sweetens the deal by adding standard HD Radio capability to the tuner. The exterior of the 1-Series may not be as aesthetically appealing to some as others, but the interior of the 2010 BMW 1-Series is still unmistakably excellent. While the merits of BMW's new design direction have been hotly debated, experts at TheCarConnection.com find almost universal agreement that the 2010 1-Series looks like a BMW, it's just not proportioned especially elegantly. Sharing the long hood, short deck look of the 3-Series, the 1-Series is caled down. It rides ona 104.7-inch wheelbase that's about four inches behind the 3-Series two-door, but the 1's truncated shape is overall shy by its bigger sibling by about half a foot. Overall width comes in nearly 3 inches less. The effect is that the 1-Series is a little abbreviated, and some might not think that its proportions are quite as “right” as those of the 3-Series. Cars.com calls the new 2010 BMW 1-Series “awkward” and finds the “bulbous shape of the rear part of the passenger area” is very “out of tune with the rest of BMW's very sleek-looking lineup.” They add that the “1 Series isn't overtly striking in the visual department,” and it “seems hum-drum...even in sporty 135i duds.” While generally approving of the styling on the new 2010 BMW 1-Series, Road &amp; Track notes that the “long-hood, tall-roofline, short-rear-deck profile projects an odd, almost ungainly proportion from some angles.” If nothing else, the exterior styling is divisive; for every person who loves the 1-Series' look, there is another who finds it a complete turnoff. Traditional BMW looks can be found inside, which means that the 1-Series is clean and upmarket if a little light on flair. ConsumerGuide reports that while the “audio and climate controls are mounted somewhat low,” they are still “easy to reach and simple to decipher and adjust,” while Popular Mechanics says that the 1-Series is “nearly identical to the 3-Series,” a car that reviewers and customers alike have stamped with their approval. The 2010 BMW 1-Series is nimble, quick, and fun to drive, thanks to precise steering and zingy engines. Two models are offered for each body style, the 128i and the 135i, ;and both are available with either a six-speed manual or an automatic gearbox. The main difference between the two models is the engine; the 128i uses a non-turbo 230-horsepower version of the 3.0-liter inline six-cylinder, while the 135i provides a more ample 300 hp from its twin-turbo version of the 3.0-liter six. Road &amp; Track reports that the 135i “has amazing pulling power” and gives “new meaning to the term 'pocket rocket. '“ Some reviewers, however, worry that the car's 3,500-pound weight will overwhelm the smaller engine in the 128i model. Despite this, Car and Driver finds the BMW 128i to be “pretty quick, taking an estimated 6.4 seconds for the 0-to-60-mph run equipped with the fluid six-speed manual.” For those seeking a serious performance machine, the 135i's twin-turbocharged engine moves the car to 60 mph in less than 5 seconds according to some reviews read by TheCarConnection.com. Popular Mechanics notes that for sports cars “the flip side of all that high performance is usually poor fuel economy. Not here: BMW estimates 30 mpg on the highway.” The official EPA estimates for the 2010 BMW 1-Series are 18 mpg city and 28 highway for the 128i, while the 135i returns 17 mpg city, 25 highway. Stopping power is strong as well. Kelley Blue Book has lots of good things to say about the 135i's large front brakes “that not only slow the small coupe with ease.” We've found that the 128i's brakes are also generally up to snuff. BMW manages to offer excellent-quality materials even at the lower end of its model lineup, but the 1-Series is a small car, so you should expect compact accommodations. There's much of what you probably expect inside the 1-Series if you're familiar with BMW's lineup. It's a little less austere and more adventurous, but not overtly. So. Still, it remains easy to use with convenient controls. Whether as a coupe or convertible, the 1-Series is more of a 2+2 than a vehicle with a full backseat. But in an appreciable nod to everyday practicality, the rear seat of the 2010 1-Series features both a pass-through and convenient 60/40 split-folding access to the trunk. The compact folding mechanism of the convertible's soft top even ensures usable trunk space with the top down. Most reviewers are impressed with the interior quality of the 1-Series. Kelley Blue Book lauds the fact that the “interior treatment of the 1 Series is anything but cheap.” Edmunds says, “Despite being the cheapest BMW sold, the vehicle's interior materials are consistent with its larger and more lavish siblings.” Cars.com, however, notes that on BMWs 2010 1-Series “the leather is less luxurious” compared to BMW's other models and that some of its plastic trim isn't quite as solid. Ride quality on the BMW 2010 1-Series is a function of just which trim level and options you select, but there aren't any big surprises here. ConsumerGuide finds that “the tested 128i convertible [rides] surprisingly well, easily soaking up smaller road blemishes and pavement heaves.” However, opting for the 135i brings a “sport suspension and 18-inch tires, a combination that reacts much more sharply to bad pavement, yet never feels harsh.” Not surprisingly, a 1-Series with the available sport suspension will ride a lot stiffer than one with the standard setup. The 2010 BMW 1-Series offers all the expected safety features, plus a few more, though it lacks the official crash-test nod. Neither the IIHS nor NHTSA has crash-tested the 2010 BMW 1-Series. However, across the pond the European New Car Assessment Program gives the 1-Series a five-star vehicle safety rating in crash tests. Visibility is generally good in the 2010 BMW 1-Series. ConsumerGuide finds that on the BMW 2010 1-Series, “thin pillars in the coupe provide fine visibility to all directions, though wide front headrests can get in the way when backing.” Visibility is considerably worse on convertibles when the top is up. The 2010 BMW 1-Series has a swanky set of standard equipment, but adding on options can quickly push the vehicle out of many buyers' budgets—or into the range of the 3-Series. Also, the BMW 2010 1-Series convertible features a folding cloth top that operates at speeds of up to 30 mph, a welcome addition for those who are tired of pulling over every time the sun comes out. 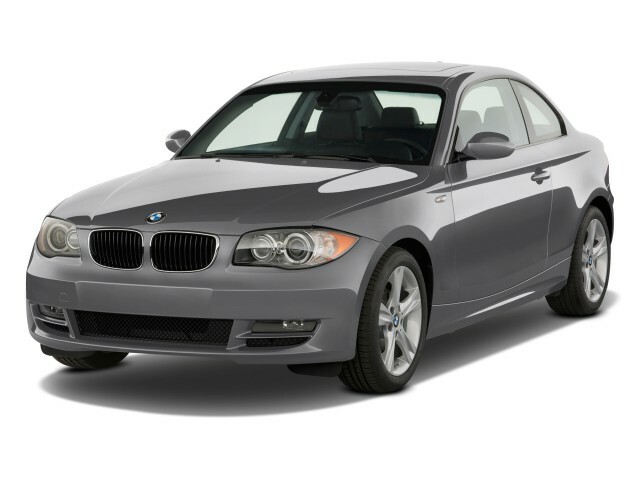 Optional features are pretty impressive on the 2010 BMW 1-Series, but they have a serious effect on the price of the car. While the 2010 BMW 1-Series is marketed as a well-equipped entry-level BMW, Road &amp; Track notes that if you “throw on a premium package...you're in the neighborhood of $39,000.” The iDrive system was redesigned for last year, but it may still frustrate some, and it's mandatory if you opt for the navigation system. The best car I've ever had. Fun and enjoyable to drive. Extremely powerful car with good functions.